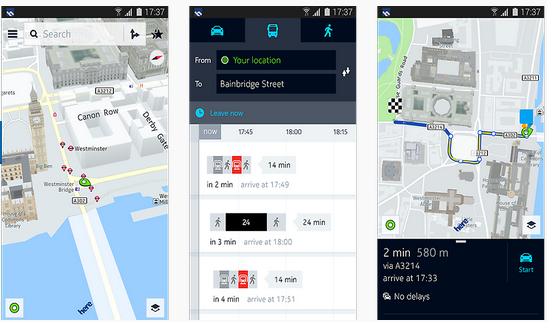 Nokia Launches New Mapping Software on Google’s Android Operating System. You can be coaxed into forgetting about about Nokia as a Smartphone. It’s very iOS Vs Android, and Galaxy Vs iPhones out there. But Nokia do have a solid range of smartphones on their own. Or at least they did, having sold their hardware and handset division to Microsoft. When the deal was made though Nokia kept their mapping service, aptly named Here Maps. Since the divergence of the hardware and phones division, that’s put enough space between Nokia and Microsoft for Google to now allow Nokia to release it’s Here Maps App on the Android operating system. It’s no Google maps, but it’s solid and it works. It’s only available on the Samsung Galaxy range of Smartphones at the minute but expect rollout onto more devices later. Blog Post by Greg McVey.